EMS Partners is a trusted professional manufacturer’s representative that is dedicated to matching OEM, C&I and Electric Utility customers with the products and services they need to drive innovation, productivity, safety and reliability for their organizations. We are a closely-held private organization with a clearly defined long-term succession plan. Our manufacturers trust our market knowledge, technical expertise and strong relationships with the end-users of their products. We carefully vet our manufacturers to ensure we are bringing our customers the best solutions available in the market. That is why our relationships are built-to-last and many of our manufacturers have partnered with us for many years. As the industry continues to evolve, so do we, and our product offerings reflect that constant evolution and innovation. Our business is built on strong partnerships that continue to grow and provide unique value to the markets that we serve. We constantly evaluate new technologies and products that are introduced into the market to bring our customers the latest and greatest solutions to help meet their needs. We are always on the lookout for new state-of-the-art solutions that will enhance efficiencies, performance and productivity. Our company works with end-users to understand their goals and applications to deliver cost-effective solutions that meet their unique needs. The Minnesota Chapter of the American Public Works Association includes more than 1,000 members from across Minnesota, representing both private and public industries, working together to advance the public works profession. 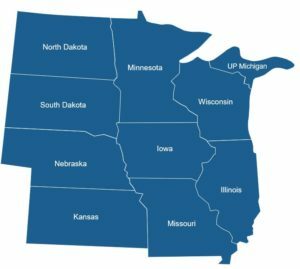 North Central Electrical League (NCEL) unites the entire Upper Midwest Electrical Industry by providing valuable, inter-industry commerce, education and discussion forums, and networking opportunities fostering peer development, all delivering benefits to our membership. The Illuminating Engineering Society (IES) seeks to improve the lighted environment by bringing together those with lighting knowledge and by translating that knowledge into actions that benefit the public. The IES is a forum for the exchange of ideas. The National Electrical Manufacturers Representatives Association (NEMRA), a trade association of independent sales representatives in the electrical industry, is organized to promote the continued growth of its membership. The Minnesota Municipal Utilities Association (MMUA) represents the interests of Minnesota’s municipal electric, gas, and water utilities. Our mission is to unify, support and serve these utilities so they can in turn improve service to their customers and communities. 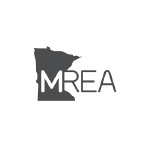 The Minnesota Rural Electric Association (MREA) is the Minnesota Statewide representing the electric cooperatives in the state of Minnesota. They foster unity among and provide service to all of Minnesota’s 50 electric cooperatives. 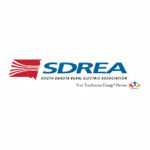 The South Dakota Rural Electric Association is devoted to unifying, promoting and protecting the interests of member electric cooperatives in South Dakota by providing leadership, training, communication, legislative representation and other member services. Want to learn more about EMS Partners?